Social work is a very broad term which can be quite hard to define, especially because different people have different ideas about what social work is for and who should do it. The difficulties in defining the term arise from the fact that the parameters and roles of social work are constantly evolving. Each nation takes a different approach to social work and how social care is provided to citizens. This article will look at the main concepts of social work which are used in the United Kingdom. Social work aims to provide support for people to help them to deal with the personal and social issues which affect their lives. Social workers do not aim to solve every problem, but they do hope to be able to help people to adapt to enable them to cope. Giving people the tools to help them to cope in future is part of creating a sustainable strategy to allow clients to continue to live independently. Social workers in the United Kingdom are asked to work with a wide range of different people. They can work with individuals or families to provide support. People can refer themselves to social services for support, but it is also possible for external organisations to refer people. Third parties which refer clients to social services may include; the police, medical professionals, housing associations, prisons, care homes or school teachers. People who are supported by social workers include; families, adults and children with learning difficulties, teenagers with mental health issues, young offenders, elderly people, people with substance abuse issues, prisoners, refugees and asylum seekers, carers, fosterers and potential adopters, and families who are required to live apart. Strategies of social work in the UK are largely underpinned by the major principles of human rights and social justice. Social workers must consider whether people are at risk and whether any crime has been or may be about to be committed. Steps should always be taken to reduce risk. Whenever possible, these steps should seek to avoid the deprivation of liberties. Removal and restrictions of freedoms should be one of the last options used in social work, and the benefits of this step should be clearly identifiable. In most cases, liberties are only restricted for a person when they are believed to be a risk to themselves or others. Social care is one of the terms which is used to refer to the strategies which are used to help to care for people who are in need. Social care is provided to help to prevent physical or mental deterioration wherever possible, or to help to give people as much dignity as possible if it is not possible to prevent physical or mental deterioration. Social care strategies also aim to reduce isolation and promote social inclusion for people who may be otherwise unable to participate. Social care is normally coordinated and funded by the local authority (council). 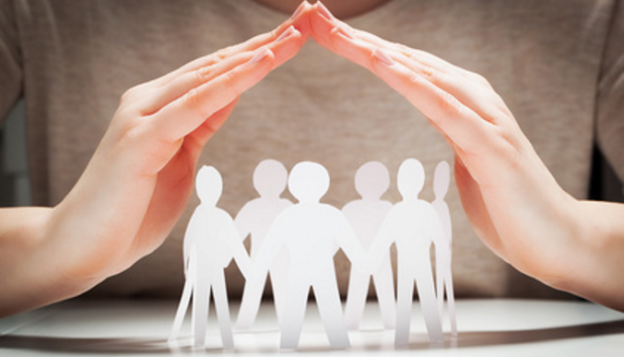 The actual provision of the care can be done by either a public or a private body. Care provision from the local authority may be means-tested. Therefore some members of society may not be eligible for some of the types of social care that are available from local authority. However, the local authority may be able to give advice about how to find private providers who offer similar support services for those in need. Social care can include community activities, as well as the provision of services and equipment. Advocacy and advice services can also come under the umbrella of social care, where these services are providing a social support function. A lot of the equipment which is provided as part of social care packages is designed to help people to continue to live independently. It may be possible to install special equipment into the clients own home to help them to meet their medical needs. Social care grant funding may be available for this on means-tested basis. Social care provisions can also include respite care, care homes and nursing home facilities. In the United Kingdom, most social workers are a member of a union. Unions aim to provide support and guidance to members, as well as producing policy documents which aim to shape national legislation. The British Association of Social Workers (BASW) has nearly 20,000 members across the United Kingdom. The number of social workers in the United Kingdom has fluctuated in recent years because of funding cuts to the sector. However, the number of people requiring social work and social care referrals has actually increased. The BASW are currently involved in lobbying the government and local authorities to help to ensure than more money is provided to the social care sector. This is an essential feature of being able to provide adequate social care to the citizens of the United Kingdom. This entry was posted in Social Work UK on 03/06/2017 by admin.